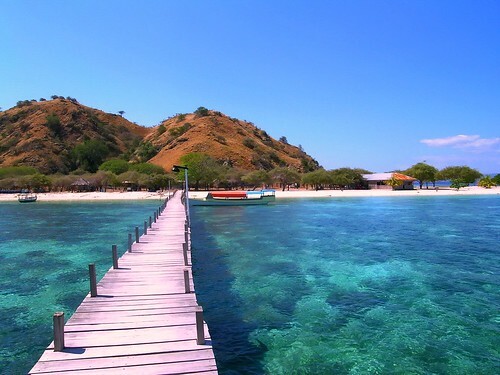 Fly from Bali to the beautiful Flores Island then sail the iridescent ocean on a sharing boat before disembarking at the idyllic Rinca Island to embark on an exhilarating hike. See wild Komodo dragons up close and gain fascinating insight into their behavior and physiology from your accomplished naturalist guide. You will be picked up from airport or your accommodation in Labuan Bajo. Drive to the harbor at 11.00 am in the morning . Enjoy snacks with coffee and tea during trip which is served on board while sailing to the Komodo Island within a 2-hour boat ride. The first stop is Kelor Island, then hop onto Rinca Island for trekking and hunting Komodo,Begin your private tour with a ranger-led trek along the Rinca Trail. Walk through typical dry forest on Rinca Island, located in UNESCO World Heritage-listed Komodo National Park. Here, mixed vegetation provides habitat for various animals, such as Timor deer, wild water buffalo, pig, wild boar and long-tail macaque, which feed on various leaves, fruit, flowers, roots and grasses found in the national park. Learn about the park’s top predator, the infamous Komodo dragon, whose menu includes all of the animals in the area! Komodo National Park is the only region where the world’s largest monitor lizard is found. These giants can grow to a maximum length of 10 feet (3 meters) and weigh up to 330 pounds (150 kilograms). Never fear—you’ll be safe at all times with your guide! the last stop is Kalong Rinca for hunting bat and enjoy sunset. After breakfast on board, heading to Padar Island. You will spend 40 minutes to an hour for the trekking to reach the top of the hill and spending time at the summit of Padar Island. After trekking, we will take you to Long Beach for swimming and you can take some pictures here. Then, after you disembark from the boat, hop onto the Taka Makassar and Manta Point to enjoy the snorkeling and take some pictures to conclude the tour on this second day. Continue to do trekking at Gili Lawa to hunt sunset. After breakfast on board, heading to Siaba Island & Kanawa Island to do snorkeling and take some pictures. After lunch, sail back to Labuan Bajo harbor. The trip will end around 13.00pm and drop off to airport or your next hotel. Redeem Your Voucher, show the email Confirmation to the boat staff in Labuan Bajo airport upon meeting and enjoy your trip ! 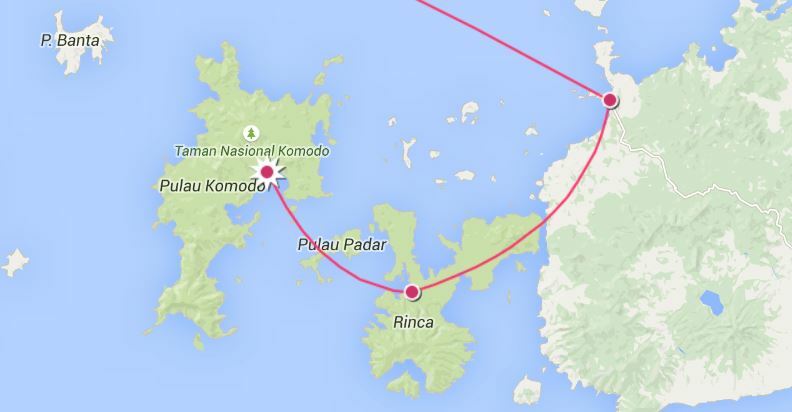 Book First your Komodo tour Package before you paid the airline ticket to secure the availibity. If you cancel between 30 and 7 day(s) in advance of the scheduled departure, there is a 100 percent cancellation fee.